Travis Scott can switch it up from beast mode to cuddly daddy mode pretty quick ... dancing with and kissing daughter Stormi in a new vid. Kylie -- who turned 21 on Friday -- posted the quick clip of her baby daddy holding 6-month-old Stormi while one of the rapper's new tracks from his album, "Astroworld," plays in the background. 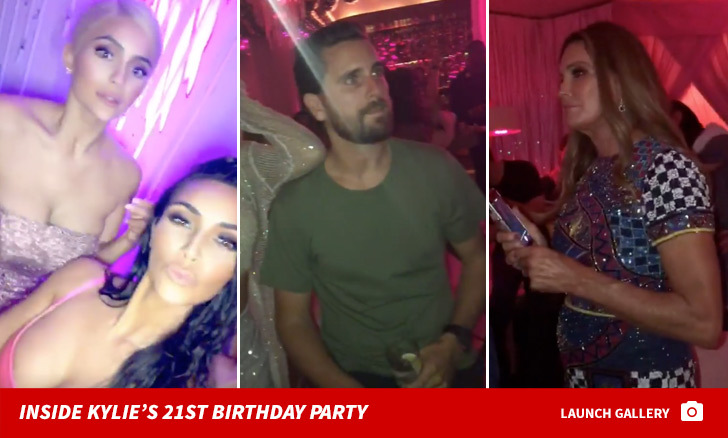 If Travis is feeling any aftereffects of Kylie's wild 21st birthday from Thursday night, he certainly isn't showing them ... even cracking a smile in the clip. As we reported -- Kylie shut down Delilah in West Hollywood for her party -- an event with a ton of celebs and even a few ex-couple reunions. Stormi wasn't there ... but, judging by her big smile, she's totally cool with a day spent with mom and dad.